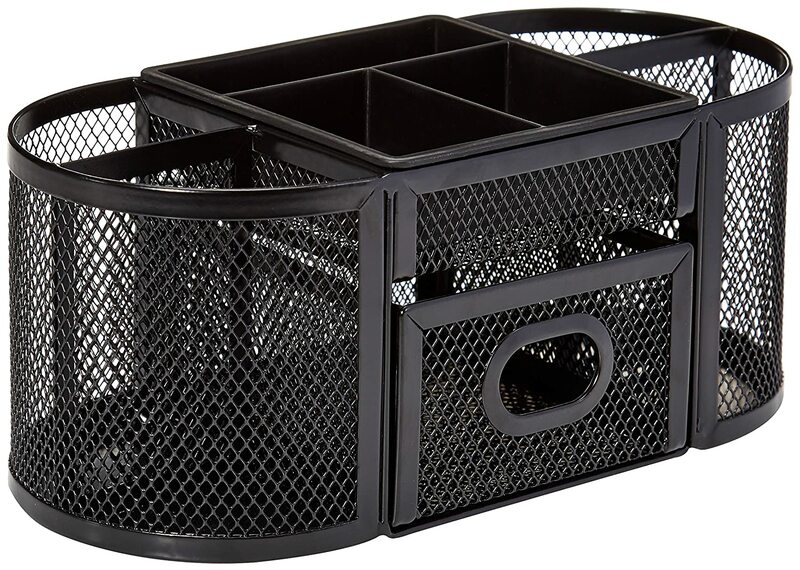 Office supply caddy made of black, metal wire mesh. Three additional compartments for storing paper clips and push pins; space for 3 x 3 sticky note pads. Divided compartments keep pens, pencils, markers, and more organized. 34 by 4 inches (LxWxH); backed by an AmazonBasics limited one-year warranty.